This condition is poorly understood, but is thought to arise from a virus called the herpes simplex virus. One theory is that at some time in one's life an initial infection from the herpes simplex virus occurred. More commonly, this manifests itself as a cold sore. Viral particles from this kind of infection remain dormant within the nerve, only to become reactivated with a stressful event. The virus then replicates causing inflammation within the nerve. It is also postulated that release of proteins from the damaged nerve fiber incites an autoimmune response against the nerve fibers. Eventually, the immune response wanes and the nerve fibers heal. There is some evidence to support this theory; however, it is not overwhelming. Another theory is that the inflamed nerve has little room to expand within the tight, narrow, bony canal. 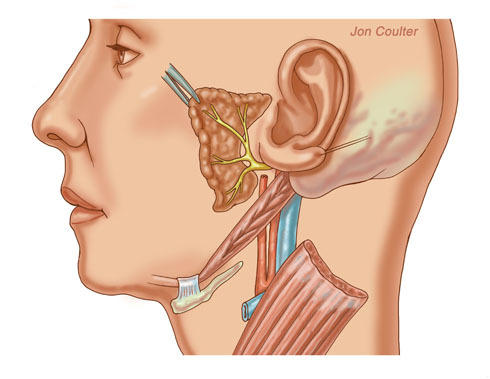 The area of greatest constriction of the nerve is the meatal segment found where the nerve courses through the inner ear. 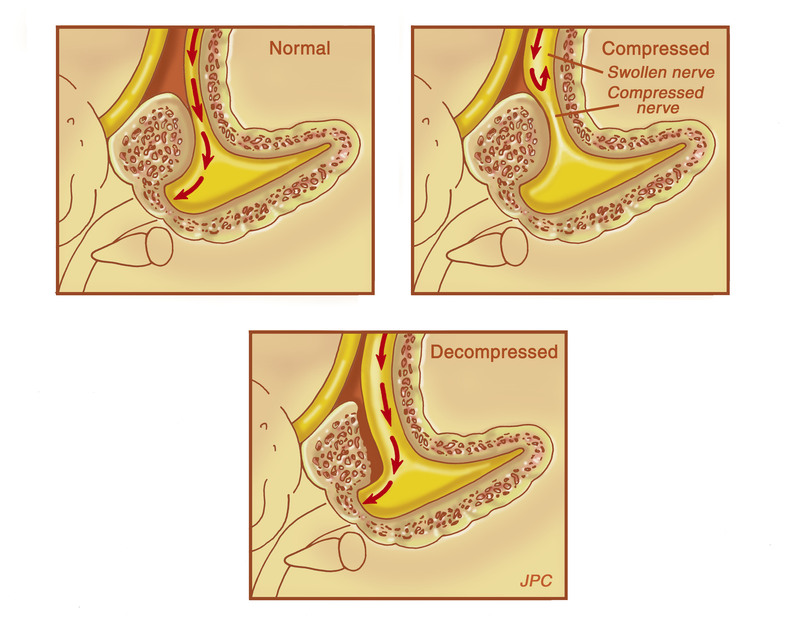 There is belief that surgical decompression of this segment of the nerve may help hasten recovery.